The case against a white police officer who pummeled a black motorist after a traffic stop in this Cleveland suburb – a confrontation caught on cellphone video that went viral on social media – has gained new life because of a citizens’ petition with a distinctly 21st century argument. Citing Ohio ordinances that allow individuals to seek charges against someone they’ve seen commit a crime, seven Euclid residents claim to have “witnessed” the encounter between Officer Michael Amiott and driver Richard Hubbard III by virtue of viewing a four-minute video on Facebook. Their unique argument has triggered discussion in the legal community about the role that “social media witnesses” could play in such cases. 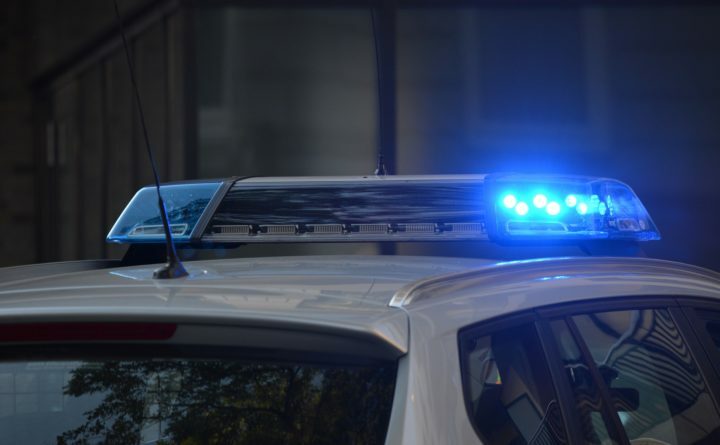 The racially and economically diverse group scored its first victory in late December when a municipal judge responded to its request by requiring the Cuyahoga County prosecutor to investigate Amiott for felonious assault during the August 2017 traffic stop. The cellphone video, which has more than 11 million views on Facebook, shows the officer repeatedly punching Hubbard’s head as the 25-year-old man lay in the street. Separate video from a police cruiser’s dash cam shows Amiott wrestling Hubbard to the ground moments after he was ordered out of his car for a suspended driver’s license. Amiott was fired two months later for excessive force. But in the majority black city, emotions flared anew this October when he was rehired following an arbitrator’s ruling in his favor. The ensuing outcry included the NAACP announcing a travel advisory to people of color who might be driving through Euclid. The legal issues raised by the citizens’ petition and the prospect of witnesses via social media are largely untested. Cleveland attorney Rebecca Maurer, who wrote a popular blog about the “Serial” podcast’s recent focus on Cuyahoga County’s criminal justice system, expects such witnesses might have to first establish that they were somehow personally affected before being allowed to initiate charges. In his ruling referring the matter to the county prosecutor, Euclid Municipal Judge Patrick Gallagher did point out that the petitioners fail to claim any “personal knowledge of Mr. Hubbard’s injuries.” Had they done so, he could have taken more drastic action, the judge seemed to imply. Under Ohio law, Gallagher also could have used the citizens’ petition to circumvent the prosecutor’s office and issue an arrest warrant for Amiott. Nearly a dozen other states also allow private citizens to initiate criminal charges – including Pennsylvania, New Hampshire, Maryland, Virginia, North Carolina, South Carolina, Georgia, Texas and Idaho. In all but one, however, the decision to actually file criminal charges is left to a prosecutor or grand jury. The exception is South Carolina, where police also have that power. Testimony from people claiming to have witnessed something via social media can be problematic, cautions Seth Stoughton, a University of South Carolina law professor and former officer, since video posted online, even unedited, often provides limited information about an event. “Beyond what they see directly in front of them, officers also rely on peripheral, aural and tactile information. . . . That doesn’t always come across accurately, or at all, on video,” said Stoughton, who writes extensively about police regulation and use of force. By definition, he added, social media witnesses will always have such limitations. Some attorneys worry that the very community such individuals hope to protect could instead be negatively affected. Civil rights lawyer Maya Wiley, a former board chair of the NYC Civilian Complaint Review Board, an independent police oversight agency, warns of implicit bias in the criminal justice system that could favor a white social media witness over one of color. Nevertheless, Wiley credits the rise of cellphone video, Facebook, YouTube and similar platforms with the CCRB’s greater success rate in initiating discipline for police misconduct. The Euclid petition should not factor into the Cuyahoga County prosecutor’s decision to file charges against Amiott, in Stoughton’s view, though he thinks the community should play a role in holding police accountable. The petitioners in Euclid are pursuing every avenue. Following a recent city council meeting, Montgomery pressed council member Daryl Langman for a resolution that would compel the mayor to release data on individual officers’ arrest rates by race. “Part of how a Michael Amiott becomes a Michael Amiott is there’s no external review by city council,” he told Langman.